Considering the rapid development of buy-side audience targeting technologies, publishers do, and will, continue to rely on programmatic as the primary way to generate advertising revenue for their business. In this piece for ExchangeWire, Alex Kharitoshin, marketing and product director, Roxot, explains that, in spite of this growth being set to continue, there is a misconception around the impact that header bidding is having on inventory competition. According to eMarketer, 82.5% of digital display ads will be bought programmatically in 2018. That number will grow to 86% over the next year. However, the competition for publisher inventory is still low, even in the U.S., where over 70% of publishers have adopted header bidding. It appears to be a myth that the increase in competition is what’s driving revenue lift in header bidding. Based on a recent analysis of header bidding auctions Roxot conducted, at least half of the revenue lift experienced by publishers is the result of fewer unfilled impressions. Due to issues on the SSP side, and incorrect or unoptimised setups, most of the publishers’ SSPs didn’t compete in every auction. 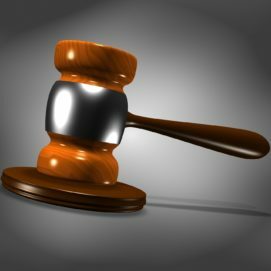 A publisher with at least five bidders in the header can expect to fill 80% of ad requests, meaning that most header auctions will have at least one bid from these five bidders. However, an average SSP bids for only 40-50% of available inventory, according to the analysis. As a result, all bidders rarely competed in a header simultaneously. Often, only two to three bidders competed, while others were timed out or did not provide a bid. If a publisher has five header partners with 50% bid rate, the probability that all of their SSPs compete simultaneously is only 3%. Low competition in header bidding negatively affects the performance of Google AdExchange –the biggest contributor to publisher’s programmatic revenue. Header auctions are inconsistent in terms of bid prices, as not all SSPs participate in auctions simultaneously. If a high bid was timed out, a low bid wins the auction without competition and is sent to the ad server. AdX adapts to unstable bidding behaviour of SSPs in the header and buys publishers’ inventory for lower prices. According to Top Header Bidding Partners Report 2017, header bidding with five SSPs wins only 27% of all ad server auctions. Publishers should set minimum prices for impressions in Google Ad Exchange to make it work harder for 100% of ad auctions. Price floors let buyers know they won’t be able to buy an impression cheaper at a certain price. In contrast to header bidding bids, price floors consistently influence AdX bidding, as they participate in every auction. However, the main challenge for publishers is that they compete against machines. The buy-side technology participates in hundreds of millions of auctions an hour and adapts its bids to win more for a lower price. When publishers overprice their inventory, they decrease monetised impressions. In turn, low inventory prices don’t influence bidding algorithms, nor do they increase bid prices. Artificial intelligence and automated algorithms will help publishers price their inventory according to demand, creating competition for 100% of ad auctions. Similar to buy-side algorithms, sell-side technology will analyse website visitors, their behaviour, and the demand for their attention. Dynamic inventory pricing technology, like Roxot Revenue Lift, would consistently provide prices to compete with Google Ad Exchange and adapt to the results in real time. Artificial intelligence would analyse RTB auctions and website visitors to predict what buyers are ready to pay for a particular user or audience. Based on those predictions, AI would find optimal prices for publishers’ inventory – prices that balance high bids and the fill rate. A dynamic inventory pricing technology would be a publisher’s response to buy-side algorithms. Publishers have access to a massive amount of data. Automated inventory pricing would use this data to facilitate competition for each impression. Smart performance data application for audience-based inventory pricing is a growth opportunity for publishers in the developed markets.